Congratulations for the Winners and the first 50 upvoters! 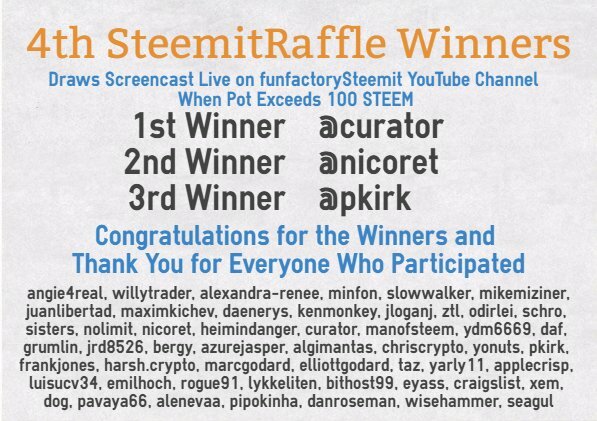 By now, you all should have received your Steem Dollars. @funfactory is going to start a new kind of Raffle soon where everyone is welcome to join and it is not based on the current upvoting system as the winnings can be easily wiped out by any powerful downvoter as it just happened. Please, follow @funfactory and you are not going to be left out!